Carla, a National Association of Legal Assistants (NALA) Certified Paralegal since 1992, came to Countywide from the Owen Voss Owen & Melton PC law firm. She has a B.A. degree in Business Administration from Wayland Baptist University, and has worked for real estate attorneys for more than 30 years. 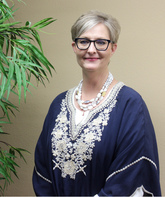 She is certified by the Texas Department of Insurance as a Licensed Texas Escrow Officer in charge of closings and escrow services at Countywide, specializing in commercial, construction, agricultural, and IRS Sec. 1031 Exchange closings. 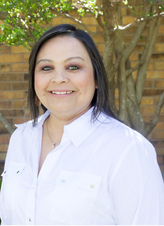 Carla is proud to be a Plainview native, having married and raised her children here. She is a member and past officer in the Plainview Rotary Club, and has served on various community project committees throughout her career. 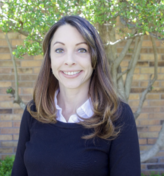 Pam Shirley is an experienced residential closer with 12+ years as an Escrow Officer. 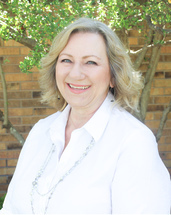 Pam comes to Countywide with 6 years of abstracting experience in Nolan County. She and her husband, Joe, have lived in Plainview since 1991. Pam enjoys crafting, gardening, and spending time with her grandchildren, Brock, Cash, Westin Brodi, Sawyer, Cutter, Bennett, Beau, and Paxton. Lauren is a Plainview native, and received her B.S. degree from Texas Tech University and Masters from Wayland Baptist University. 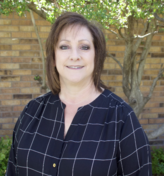 She and her son, Tristan, moved back to Plainview in 2016, and is the receptionist and Escrow Assistant for Countywide. Lauren loves basketball, fishing with her dad, snow skiing, and spending time with her son and their two dogs and cat, Rocky, Koda, and Justice. Michelle is a Plainview native, having returned in 2012. She has one child, Marcus, and four grandchildren. Michelle and her husband enjoy reading, watching sports (basketball, football and golf), going to the mountains, spending time with grandchildren, and entertaining their two dogs and one cat. Michelle has been an abstractor at Countywide since 2012. She loves history and a good puzzle, which makes her exceptional at researching title to land. Charlotte has been an abstractor for Countywide Title since 2014. She lives in Hale Center and considers Hale Center her home. Charlotte has four children: Esperanza, Yesenia, Andres and Esai, and she enjoys gardening, reading, cooking for her family (Charlotte is an excellent cook! ), and playing with her grandson, Ezra. 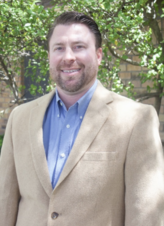 Trent is a Plainview native, and received his MPA from West Texas A&M. He and his wife, Meredith, have four wonderful boys: Brennan, Lincoln, Hogan, and Sutton. Trent loves any activity that involves his family, and loves golfing, fishing, grilling, and looking after the funds that are entrusted to Countywide.